Self-driving vehicles – without a steering wheel or human in control – could take to UK roads later this year, it has been suggested. 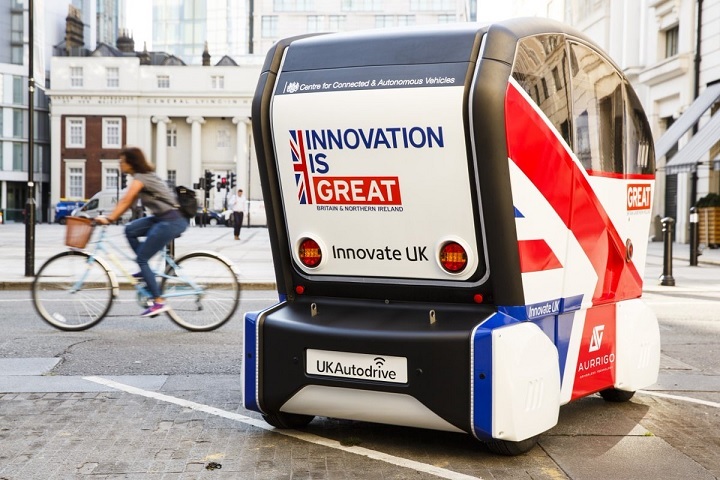 On 6 February, the Government announced it is developing a process to support the advanced trials of automated vehicles – by updating its code of practice for testing the technology. The code of practice, first published in 2015, makes it clear that automated vehicle trials are possible on any UK road, provided they are compliant with UK law – including testing with a remote driver. However, the updated code of practice acknowledges the growing desire of industry to conduct more ‘advanced trials’ – which The Times interprets as allowing the first trials, on public roads, of self-driving vehicles ‘without a steering wheel or human in control’. The Times anticipates that the trials could begin towards the end of 2019 – although they will be subject to a ‘strict application process’. The Government says the strengthened code of practice demonstrates that it is on track to meet its commitment to have fully self-driving vehicles on UK roads by 2021. It adds that under the new code, those carrying out trials will be expected to publish safety information, trial performance reports and to carry out risks assessments. Jesse Norman, future of mobility minister, said: “Thanks to the UK’s world class research base, this country is in the vanguard of the development of new transport technologies, including automation. Richard Harrington, automotive minister, said: “The UK has a rich heritage in automotive development and manufacturing, with automated and electric vehicles set to transform the way we all live our lives. Brake has welcomed the move, as part of a safe systems approach to road safety. Josh Harris, director of campaigns for Brake, said: “Connected and autonomous vehicles have huge potential to eliminate driver error and put an end to the daily tragedy of deaths and serious injuries on our roads. “We support the leading role being played by UK government on this important agenda for the future of safety and mobility. “Connected and autonomous vehicles, and their implications, are hugely complex and so it is vital that people and their needs are put at the centre of this technological shift. The link below refers to my comment on the possibility of AVs creating congestion. “..autonomous vehicles have huge potential to eliminate driver error…” Fine, but let’s hope those programming them don’t pass on their own human (driving) errors to later manifest themselves in real-life, when an autonomous vehicle makes an error based on what it had ‘inherited’ from its creator. It’s a pity that the people promoting these vehicles cannot look outside their own small bubble. Wonder how many of them have visited the more remote areas of the UK where the roads are narrower and more winding, resulting in reduced forward visibility, which I assume is one of the things these vehicles rely on, compared to the roads in the south of England. That last sentence in the article is interesting as I’ve read reports forecasting that future widespread availability of autonomous vehicles FOR HIRE ON DEMAND rather than owning them will actually reduce the likelihood of active travel and increase congestion, probably clogging roads more than now. Still, these AVs will be electric so that’s alright then?